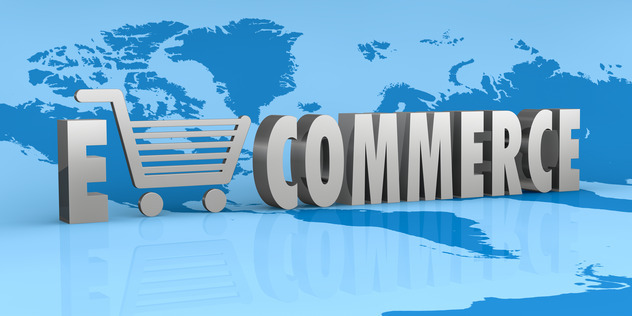 E-commerce industry has immensely spread its wings over the world of Internet. This arena, which had started on a small scale before around two decades, has grown to a large extent by now. Although, there is a lack of vast Internet penetration in South-Africa, the e-commerce sector has made a mark even there. Also, the fact that its relatively easy and effective to get on with an Internet start-up has pushed this arena. It’s easy, because all you need is something to sell, with a good design and right plugins. It’s greatly effective, because there is a wide responsive audience at your disposal to whom you can showcase your products. There are some e-commerce sites in South-Africa, which have performed exceptionally well. Most of them sell a diverse range of products, but usually occupy specific niches. The South-African e-commerce awards appreciates these sites every year. Given here is a list of top e-commerce sites recognized by providing e-commerce awards based on different niches. This e-commerce store is a large storehouse of a wide range of kitchenware items, appliances, table furniture, home décor and food & drink items. It possesses an extensive range of sub-products under all these categories. Moreover, it also offers gift vouchers and free home delivery facility. The site claims that it is “dedicated to making the world’s best kitchen tools available to South Africans”. The site has an extremely descent look and is easy to use with fast and accurate search results. It shows clear cut images of the products, so that customers can get the exact idea about them. The site is informative with an integrated ordering process. The incredible delivery experience ensures increasing number of satisfied customers. Additionally, it offers with a responsive customer service over the phone, email and online chat. Also, the mobile site is highly impressive. Along with being judged as the best e-commerce store, YuppieChef has also managed to get an award for the website with best shopping process. It is the only website which has won awards in two different categories. This online auction site, which is around since 1999 has today turned into an e-commerce powerhouse in South-Africa. It offers a wide range of products in numerous categories for customers to either bid on them or buy them. Moreover, it offers special deals on categories like vehicles, property, fashion, lifestyle and digital items. It bought group-buying site UbuntuDeal in early 2011. The site offers easy, speedy and secure online shopping for all its customers. It has a great mobile friendly version and it provides with in-time responses to customer queries. Just before a couple of years, Group buying sites were doing immensely well on the Internet and were growing enormously. Although its growth may have slowed down in the recent times, but that’s not the case with Groupon SA. The site maintains that it’s there to stay for a long term and serve the South-African group buying audience. The website is quick and easy to navigate. It offers an extensive range of deals in categories like food & drink, beauty & spas, health & fitness, home improvement, electronics, sports & outdoors, auto & home appliances etc. The ordering process for buying these goods is also extremely quick and simple. At present, online classifieds websites are gaining great popularity among the local audiences. So, much so that some people even opine that they will lead to the end of newspaper ads. Property 24 is an online classifieds site dealing specially in ads related to property in South-Africa. The site claims to be the No. 1 property website in South-Africa. It provides with different sections like property for sale, property for rent and even free advice for property dealings. It has a strong overall design and it provides extremely fast and attentive responses to customer queries. Websites helping people to find local accommodations have increased with the time. TravelGround is also one such special purpose website helping people to find easy accommodation in South-Africa. It has turned out to be a blessing for people who don’t like staying in chain hotels. The website is simple, clean as well as easy to use and informative. It showcases great images of available destinations and provides with a straightforward checkout process. PoetryStores is an online South-African retailer dealing in offering a wide range of clothing, accessories, shoes, kitchen accessories, bath and body products and gift items to its wide array of customers. In the present commercial world, PoetryStores has become a favourite place for well-read and well-travelled women who long for rare and exceptional clothing products. Moreover, facilities like store vouchers and variety of payment options have made it the best small e-commerce business website. Deciding the award winners only by the panel of judges who are industry experts is not enough. Like in any other award function, there is a presence of critics award here also. This category was decided by public voting. HomeChoice claims itself to be South-Africa’s No. 1 home-shopping retailer. The site offers an extensive range of items like beddings, blankets, curtains, electronic items, decor items, furniture, kitchenware and appliances to its prospects. Due to its extensive offerings and efficient services, it has been claimed as the public’s favourite e-commerce destination. Kalahari was established in the year 1999. It is South Africa’s leading online retailer, offering millions of books, eBooks, electronics, cameras, CDs, DVDs, games, toys, baby, pets, home & living and so much more at the click of a mouse. It allows the users to compare prices by scanning barcodes to see if kalahari.com has something cheaper. Buying killer stuff from an e-commerce website has never been so easy for the customers. Moreover, the site provides with in-time delivery and immediate assistance to its customers. Zando is an e-commerce retailer offering footwear and fashion brands. It is South Africa’s largest fashion e-commerce retailer offering choice and accessibility to customers. With hundreds of local and international brands for men, women, kids, beauty, home, sports etc., it happens to be an extensive storehouse of the latest trending fashion items. Its wide range of fashion products is duly supported by an easy, quick and effective shopping process offered by the site. Moreover, it offers free product delivery nationwide on all orders of R250 and above. The shopping process is further simplified with a variety of payment options offered by the site. Baby Life is South Africa’s favourite online shopping destination for good quality baby products like, diaper bags, baby clothing, nursery accessories and many more. The site is run by a dynamic team of moms & dads who understand the needs of babies, toddlers and of course the parents. The aim of the site is to inform and provide good nurturing info and products. The website is not just a Baby Lifestyle Store, it also offers an informative Online Magazine with articles written by professionals in the field. The site was privileged to win the runner’s up award for the best small e-commerce business award. So, which are the other exceptional e-commerce platforms do you think are there in South-Africa and why? This is very useful. Most of us struggling to find information on the South African Online Scene.